L.M. Browning (Leslie M. Browning) is the award-winning author of eleven titles. She grew up in the small fishing village of Stonington, Connecticut. A longtime student of philosophy, nature and art, these themes permeate her work. In her writing, Browning explores the confluence of the natural landscape and the interior landscape. She is a convergence of her New England roots and the wide-sky, high-desert of the Southwest, where her heart is most at peace. Balancing her passion for writing with her love of learning, Leslie has sat on the Board of the Art’s Cafe Mystic, a poetic art’s venue that has run for 17 years in Mystic, Connecticut and has featured authors who are Poets Laureate of the U.S. and winners of the Pulitzer Prize, National Book Award, and MacArthur “Genius Award.” She currently is a member of the Board of Directors for the Independent Book Publisher’s Association. With over 3,000 members, IBPA is the largest publishing trade association in the U.S. She is a graduate of the University of London and a Fellow with the International League of Conservation Writers. She is the Founder and Editor-in-Chief of The Wayfarer. In 2011, Browning opened Homebound Publications and in 2015 went on to establish Owl House Books as an imprint of Homebound Publications devoted to genre fiction and Little Bound Books, an imprint devoted to the short form. Browning has freelanced for several publications including Rhode Island Monthly, New Haven Magazine, Coastal Connecticut Magazine, and Edible Nutmeg. 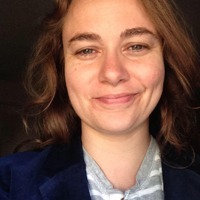 Recognized for her in-depth profiles, as an interviewer, Browning is known for her genuine desire to connect with her subject and the insightful questions she composes to delve into the mind of those with whom she speaks. She has interviewed dozens of notable figures such as Academy Award-Nominated filmmaker Tomm Moore, Peabody-winning host of On Being Krista Tippett, Emmy-winning Filmmaker Alan Cooke, the Standing Rock Water Protectors, and Sandy Hook mother Nelba Márquez-Greene. 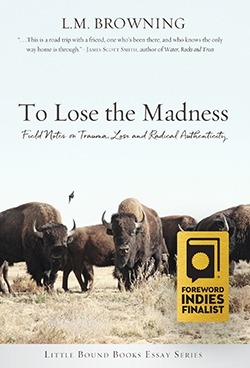 In early 2018, following the release of To Lose the Madness and the TEDx Talk she presented at Yale University’s TEDx Conference based on her own journey with successive trauma and search for transcendence, Browning founded the RadicalAuthenticity.Community website, a community of storytellers who, by sharing our own journey with emotional struggle, help to normalize mental illness and dispel the stigma surrounding it. She is currently working to complete a B.A. in Creative Writing with a double minor in Journalism and Psychology at Harvard University in Cambridge, Massachusetts.